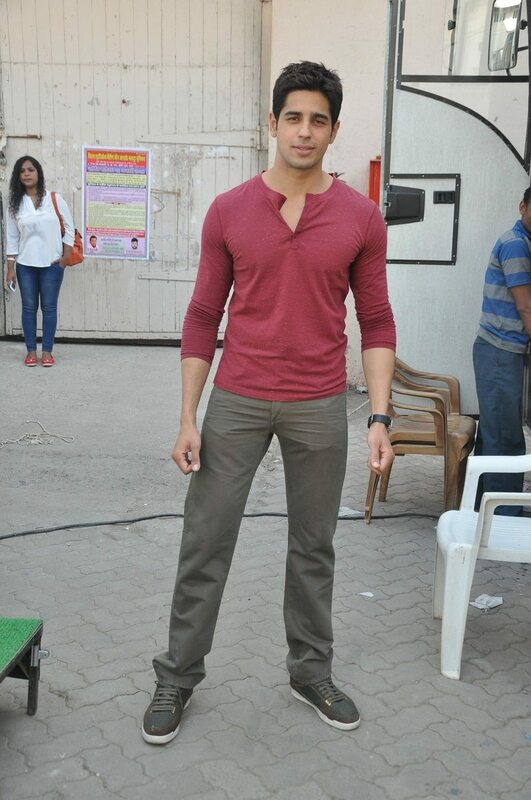 BollywoodGaram.com: Bollywood stars Sidharth Malhotra, Parineeti Chopra and Shruti Haasan were snapped at the Mehboob Studio in Mumbai on January 20, 2014. Parineeti and Sidharth were there to promote their upcoming movie ‘Hasee Toh Phasee’. Shruti was also there and looked leaner as she has just recovered from health problems. ‘Hasee Toh Phasee’ began shooting in April 2013. In the movie, Sidharth will be playing a middle-class working man, while Parineeti will play a scientist. The actress shared that her character was a difficult one and she lost about eight kilos within a month in order to get into the character. The movie is all set to be released on February 7, 2014.